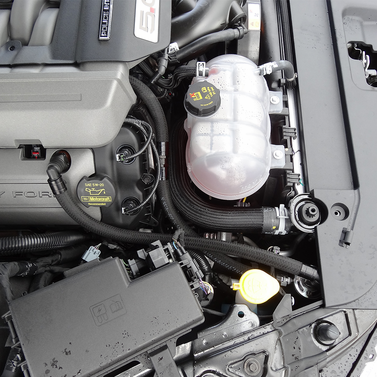 This 2015-2019 Ford Mustang GT single valve Plug N Play � catch can kit with adjustable mounting bracket is the perfect fit for your engine bay. With it's extremely efficient compact design and Incredible Looks. We went the extra mile to ensure you get the best quality components. Utilizing Continental Braided Hose and Billet Hose Ends to give you the Strongest and Best Performing Setup Possible. No cheap stock lines here that have been cut and spliced on! Featuring the New UPR Plug N Play � Catch Can Fittings. 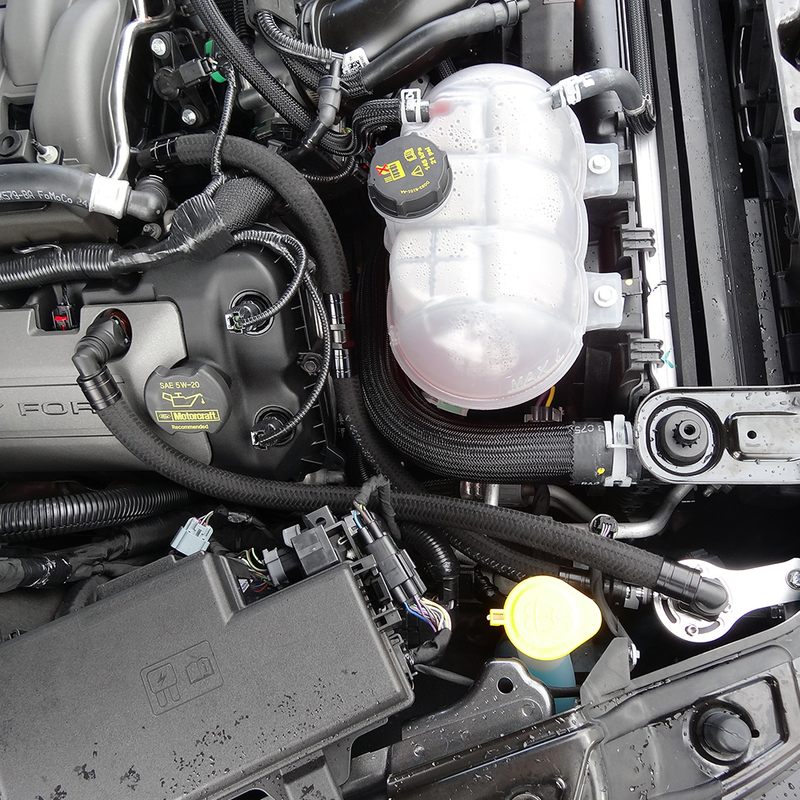 So you can empty it without removing the intake cover or catch can lines from your engine. (UPR Exclusive Push Button Fittings) We have hundreds of hours testing our new 4 Stage Oil Separator to ensure the claims and results will exceed your expectations. We even double the size of the oil containment chamber. The design of this unit is more along the lines of a True Engineer and cannot be compared or confused with units that have side by inlets and outlets with screen rolled up and shoved in them. The 4 chamber technology in UPR catch cans captures and filters all the oil vapor and trash from getting into your air intake tract. That's the most important reason for a catch can in the first place! 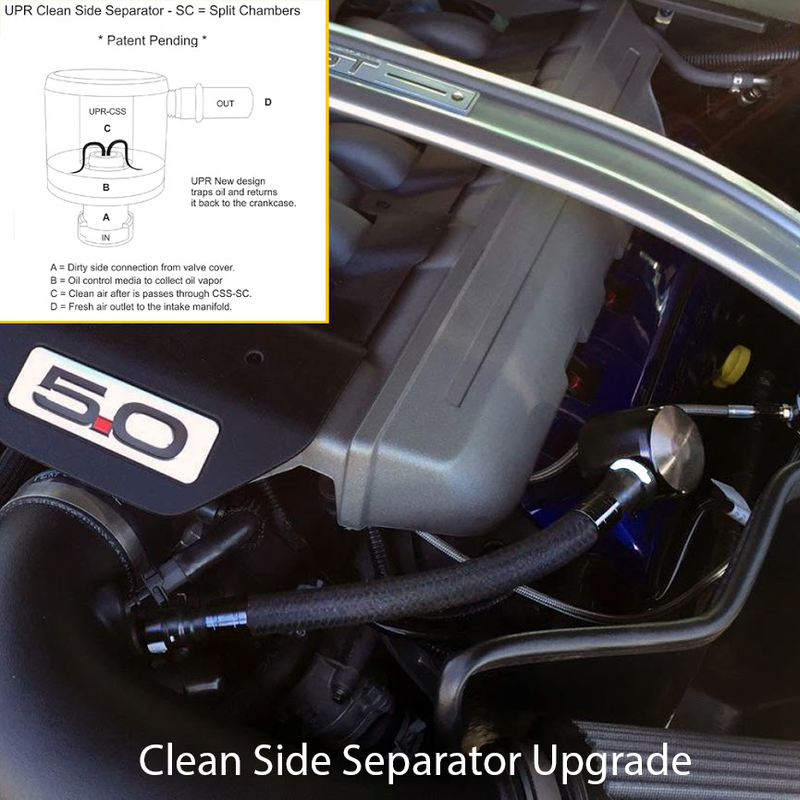 Don't forget the UPR CSS - Clean Side Separator for the Driver side of the PCV system to make sure you are fully protected at both ends of the PCV system. (Great protection and ideal for all driving situations) Manufactured from Domestic T-6 6061 Aluminum bar stock and finished off using only the best Diamond cutters to exceed your expectations of what a superior product should fit and look like. UPR is the largest aftermarket catch can manufacturer in the country. Continually improving our designs to stay ahead of the competition and give you the cutting edge technology of tomorrow today. We are so confident we offer an unconditional warranty on our products to let you know you can always count on UPRproducts. 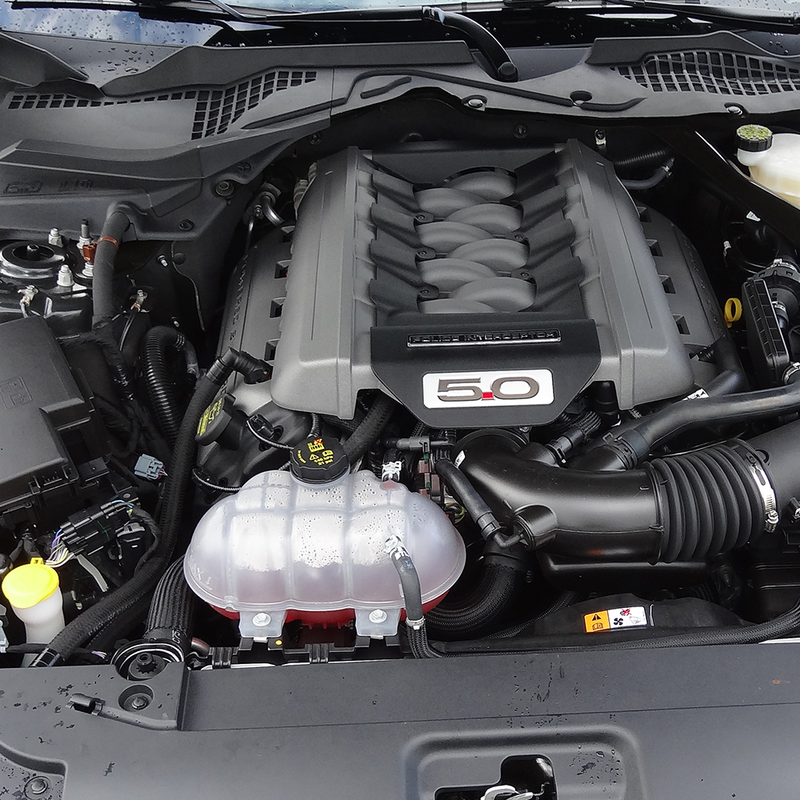 2015* 2016* 2017* 2018* 2019* ** Ford Mustang GT 5.0 Coyote S550 *Fits Right Hand Drive models as well **2018 2019 Mustang GT w/ Roush/FRPP Supercharger will fit but requires a plug for factory rubber drain line on back of engine. No one else can stack up to the bold clean styling of our aftermarket Billet dress ups, Street Strip & Racing Suspension & Performance Parts for your late model American Muscle Car! 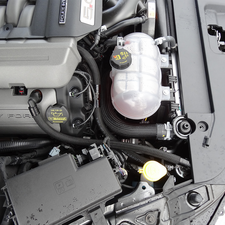 This 2015-2019 Ford Mustang GT single valve Plug N Play � catch can kit with adjustable mounting bracket is the perfect fit for your engine bay. With it's extremely efficient compact design and Incredible Looks. We went the extra mile to ensure you get the best quality components. 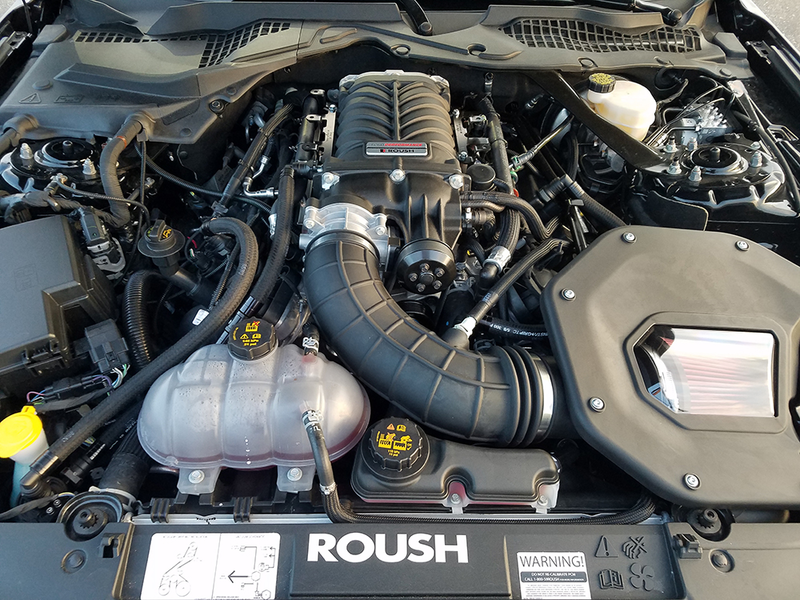 **2018 2019 Mustang GT w/ Roush/FRPP Supercharger will fit but requires a plug for factory rubber drain line on back of engine.